Live in this lovely home, don&apos;t miss it! You&apos;re lucky enough to be greeted by a soothing waterfall & pond as you walk up to your new home. Come in to the immaculate & beautifully kept home, you&apos;ll want to stay! Newer kitchen has plenty of cabinets & yards of granite! The island is perfect! Kitchen opens to the vaulted family room that&apos;s warmed by a ventless gas FP. Separate dining and living rooms are perfect for entertaining! The giant master has brand new bath & plenty of closet space! 3 more spacious bedrooms & updated hall bath. Bmt has big rec room w/ventless gas stove, desk unit stays! Big workshop for the handy person and plenty of storage! You&apos;ll love sitting on the deck enjoying your beautiful yard graced by another waterfall/pond! Relax, enjoy! Fresh paint in most of your new home, too! So close to Metra and downtown Crystal Lake. 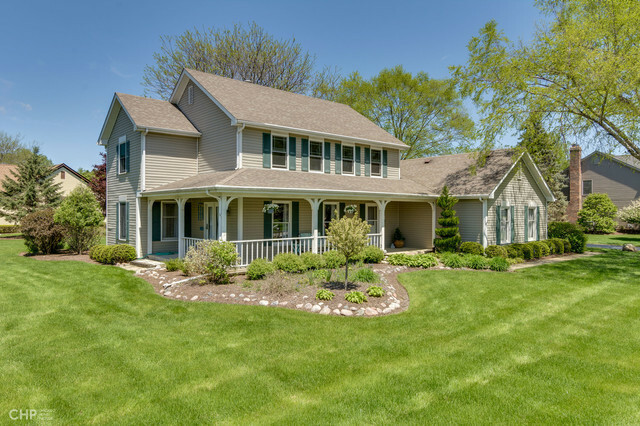 Right by Verteran Acres with sledding, paths, butterflies, bike trails, splash pad, more! Move right in, live and enjoy! You won&apos;t be sorry!